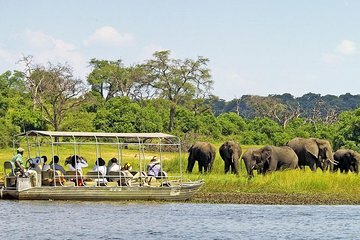 See the best of Botswana’s wild animals by land and by sea on this safari tour to Chobe National Park from Victoria Falls. 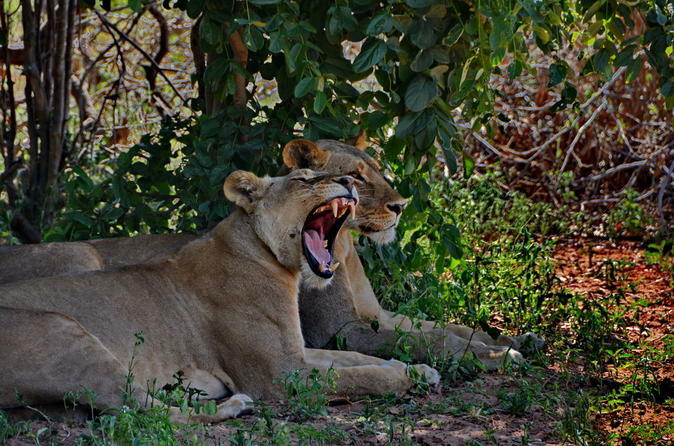 Opportunities to spot animals such as lions, elephants, and hyenas in their natural habitat more than justifies the journey, while all-inclusive transportation and lunch makes the trip as comfortable as it is convenient. I have just completed my trip that included this tour. Hence the delay in my review. I had the worst experience ever booking a tour with a vendor. I really think Viator should screen these people much closer. I had a horrible time trying to reconfirm my tour the day prior. Someone did show up late the day of to facilitate the transfer from Victoria Falls to Botswana per the tour proviso. He saw that I crossed and joined a group for the day. In the afternoon, when we were in Chobe, the heavens opened and we were dumped with rain for 75 - 90 minutes. Everyone in the open vehicle was drenched. They returned me to the border for my transfer back to the Falls. The only problem was my tour operator dropped me onto another operator for the return. The big problem was the other operator had people still in Botswana and we had to wait 1 and 1/4 hours for those folks to return. So there I sat completely drenched hoping I would not get sick. I simply could not understand how this could happen. It left me feeling like it's not worth using this website to book tours if there is the possibility of something like this happening. Horrible!!!!! The boat trip is good and it is relaxing to see many animals, especially many beautiful birds. The game drive just OK and short because too many jeeps stop at the one place to look at animals, it is difficult to see it. The arrangement is bad. We change to different tour group for 3 times. We never know who is our tour guide. At the border we asked another group tour guide to help us to ask immigration question. Finally that guide help us find out who should take care us at the border. If you do only one Safari this is the one to do, it's a half boat safari and half land. We saw so much wild life it was over whelming. Hippos, Giraffes, Elephants, Buffalos, Lions and much more, our guild was absolutely amazing he found everything we wanted to see, just look at the pictures attached to my review absolutely breathtaking. Great experience with a full of wildlife views and pictures as well as a fantastic lunch! Didn't see a lion but the whole day was amazing. We also met some nice people along the way. Trip was great, on time, and guides were excellent. We did not see any big cats, but all other animals were abundant.